When your truck scale has regular failures you might think that it is time to completely replace the scale. 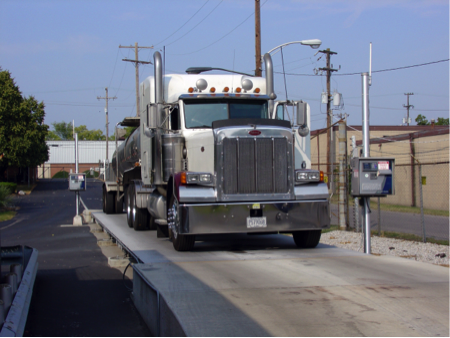 However, you could save money and receive better weighing quality by simply upgrading your truck scale to the latest technology in weighing. Truck scales that use outdated and aging analog or mechanical weighing technology are prone to downtime and weighing errors that eat into profits. Their high-maintenance load cells have a tendency to need frequent repairs due to lightning strikes, and various other reasons, that in the long run cost you you money. 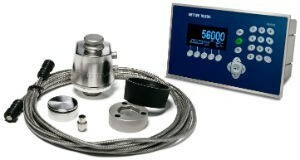 To resolve this issue METTLER TOLEDO developed POWERCELL® PDX® load cells as an option to bring your scales back to top working order without having to replace the entire scale. Easy to install, these conversion kits update analog and mechanical scales to POWERCELL® PDX® technology for less cost than replacing the entire scale. TOLEDO CAROLINA has installed many POWERCELL® PDX® conversion kits on truck scales over the years, and customers have reaped thousands of dollars in cost savings due to lightning damage, and other repairs. All without having to purchase an entire new scale. Therefore, we highly recommend customers first investigate the cost savings of upgrading their analog and a mechanical scales before purchasing a new one. Conversion kits cost a fraction of the cost of a new scale, come with a 5 year guarantee, and are designed for the specific brand of scale the company already owns. Therefore, it is easy for TOLEDO CAROLINA technicians to perform the conversion with minimal downtime. POWERCELL® PDX® load cells are proven to maintain their accuracy and improve weighing performance despite changing environmental conditions. They operate without junction boxes, which are the No. 1 cause of vehicle-scale failure. Built-in predictive diagnostics verify the performance of each load cell and simplify maintenance. By modernizing the critical components of their vehicle scale, businesses can sensibly and cost-effectively ensure the performance their business requires without the large expenditure for an entirely new scale. If your vehicle scale is structurally sound but you struggle with repairs and downtime, you could benefit from a system upgrade. Give your vehicle scale state of the art performance with POWERCELL® PDX® load cells. Specially designed kits can make installation easy, and are more affordable than you might think. 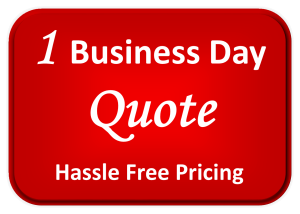 You can now requests quotes from TOLEDO CAROLINA online, and receive responses within one business day. Get your quote today to determine if a truck scale conversion to POWERCELL® PDX® load cells is right for your company.